The "Big Five": What Are The Big Five Animals of Africa? The Big Five: What Are “The Big Five” Animals? 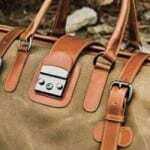 You are here: Home / / Safari Basics / The Big Five: What Are “The Big Five” Animals? Weighing in at not too far short of a ton, the African buffalo has a reputation for being bad-tempered and dangerous. 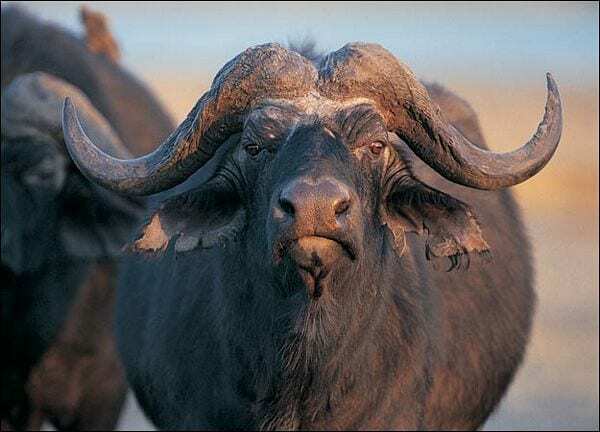 Whilst solitary buffaloes can be unpredictable, they are usually a docile beast when in a herd… aside from their tendency to stampede en masse when alarmed. Herds have clearly defined home ranges, the size of which is determined by the amount of food and water available. 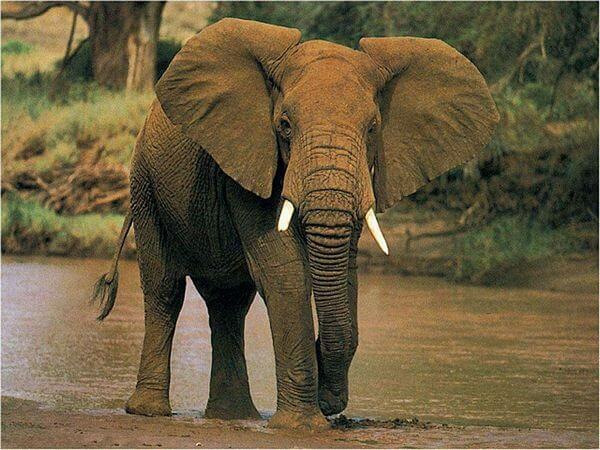 The African elephant is the largest land mammal in the world, weighing up to 6 tonnes. The distinguishing features include the dexterous trunk, large ears that cool the body when flapped, and elongated incisors in the form of tusks. A bull elephant can be dangerous, as can herds or mothers with young elephants. Keep your distance from them, and if in a vehicle ensure that you have a means to drive away forwards – elephants can run faster than a car can reverse. An elephant flapping its ears, kicking up dust and/or trumpeting is probably about to charge. Slightly smaller than their lion cousins, leopards are less rare than you might think, but rely on camouflage and being active at night to stay hidden. 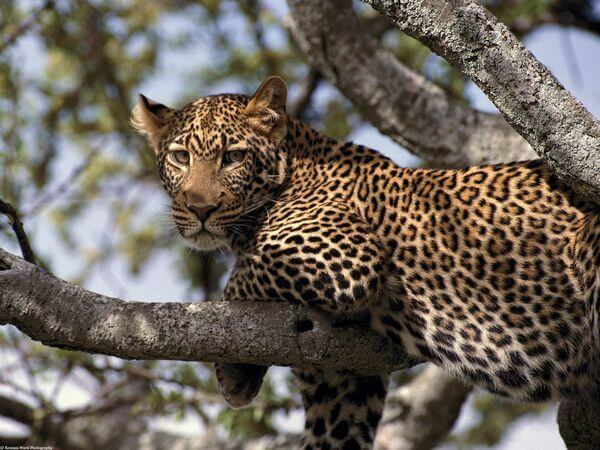 Leopards are solitary, independent creatures, and rarely seen together except during mating, or a mother with cubs. As such they are totally self-reliant, and expert hunters – sometimes killing prey up to twice their size. 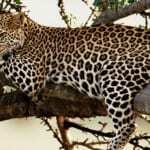 During the daytime they often lounge around in trees and come to the ground after dark to hunt, taking their prey up into a tree to eat at their leisure. Lions are the largest and most sociable of Africa’s cats. 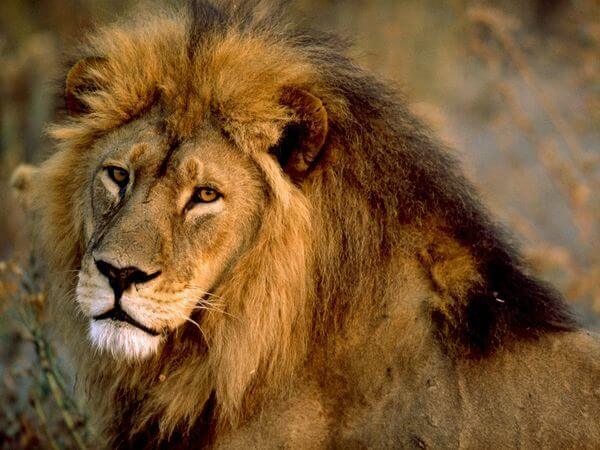 At up to 225kg, the lion really is the king of the savanna (not jungle!). Living in prides of up to 40 lions, it’s the lionesses who do all the hunting, usually sharing with the males of a pride. Lions are very territorial, and the females generally spend most of their lives within their home ranges. If you encounter a lion on foot don’t turn and run (easier said than done), as a running target that looks like prey will probably be viewed as such. Instead, try to make yourself look big, and back away gradually. Once widespread through sub-Saharan Africa, the rhino has been hunted to the brink of extinction, and is probably the hardest of the big five to spot in the wild. 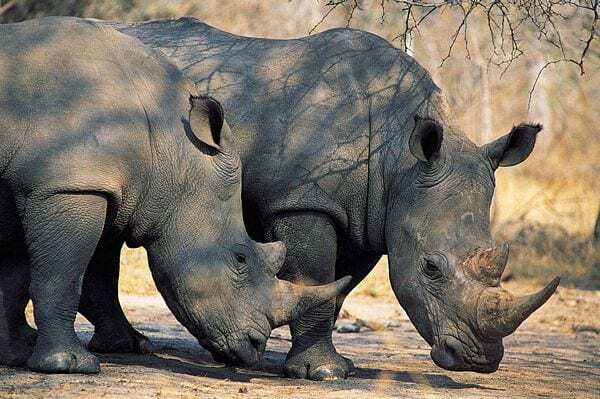 Whilst white rhinos have made a comeback through conservation efforts across the continent, black rhinos are still very much on the endangered list. The fundamental differences between the white and black rhino are size, temperament, food preference and mouth shape. Rhinos tend to be wary of humans, but occasionally charge vehicles that get too close. If you’re on foot, then their bad eyesight should work in your favour – if they do charge you the apparent life-saving technique involves letting them get as close as possible, then stepping aside at the last second. Have you seen the big five and are now looking for the next wildlife challenge? For safari aficionados up for ticking all the ‘I’ve seen’ boxes, have you heard about the ‘little five’ African animals, the ‘ugly five’ African animals, or the ‘shy five’ African animals? The Big five are the animals that i love so much but they left the TIGER and its deserves to be on of them… if one could make them pets i’d long had one. The big five is found all over Kenya and other parts of Africa. Big five are found in Africa most distinctive in Tanzania, am proud of it.